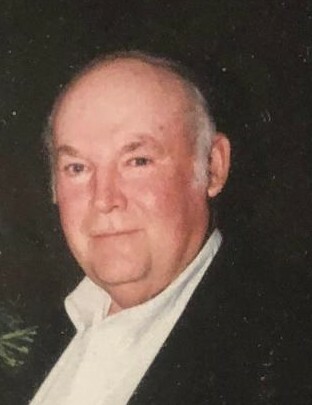 Clarence ‘Bo’ Henry, age 75, of Mount Sterling, passed away Tuesday, February 5, 2019, at 4:45 am at Kobacker House in Columbus. Born on July 2, 1943, in Madison County, Bo was the son of the later William and Ruby Swyers Henry. He was a 1961 graduate of Miami Trace High School. Bo worked in agriculture retail for more than forty years. He was a hardworking husband, father, and grandfather. He loved sports – both playing and watching; he enjoyed playing basketball in his younger years. Bo also enjoyed watching his grandchildren’s sporting events. Bo was preceded in death by his wife, Mary ‘Jan’ Caudill Henry, on October 19, 2018. The two were married 54 years when she passed. In addition to his parents, Bo was also preceded in death by a grandson, J. Tyler Fall; and siblings: infant Joanna, Helen Cantrell, Sharon McKenzie, and Arthur Henry. Survivors include his children: Renee (Darrell) Roberts, and Jeff Henry, all of Washington Court House; grandchildren: Ashley Henry, Cameron Fall, Josh Roberts and Zachary Roberts; sister, Ruby (Rick) Stein of Waynesville; and special cousin, Francis Porter. Also left to cherish Bo’s memory are several nieces, nephews, cousins, and a host of friends. The funeral service will be held on Friday, February 8, 2019, at 11 am at the Grace Community Church, with Pastor Jay Lucas officiating. Burial will follow at Pleasant Cemetery. Family will receive friends, at the church, on Thursday evening, from 4-8 pm. Arrangements have been entrusted to the Summers Funeral Home. Please visit summersfuneralhome.com for online condolences.